If you spend more than 15 minutes a day in your vehicle, you’re going to love JourniDock. To watch more JourniDock videos, click here. 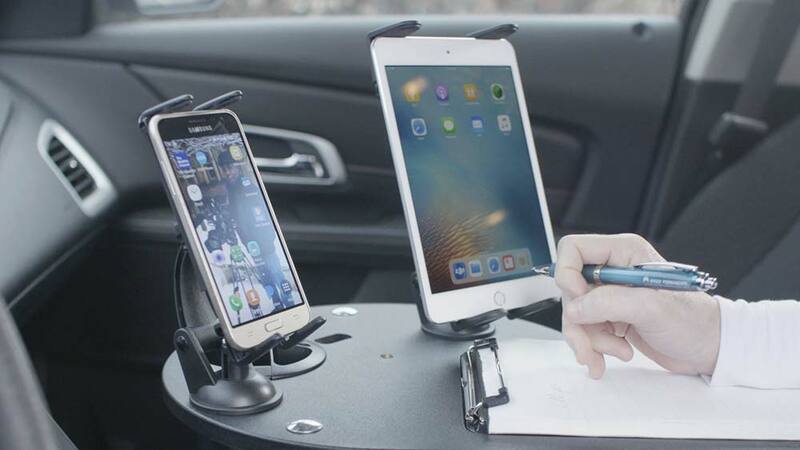 With JourniDock, you can dock multiple electronic devices together in one place in your vehicle. JourniDock’s customizable system allows you to position your cell phone, iPod, tablet computer, and GPS exactly how you want them. If you work out of your vehicle, you know that sometimes you just need to pull over and quickly accomplish a task. Send an E-mail. Jot down a note. Make a call. With JourniDock you have a desk in your car, making quick “work breaks” effortless. A messy car is no fun. Stuff flying around in your vehicle is worse. 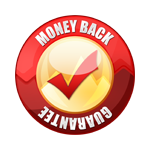 With JourniDock you have a holder for your cell phone, iPod, iPad, GPS, pens, papers, notes, loose change, and more. You know where everything is, and that it’s safe and secure. With your cell phone, gps, and iPad mounted securely, you prevent them from flying around your car and eliminate a dangerous distraction. One of many ways JourniDock helps you stay safe on the road. Nobody likes a messy car. Getting rid of clutter in your vehicle gives you peace of mind and helps you focus your attention on the road. In addition to electronics, JourniDock also organizes your notes, pens, loose change, and more. JourniDock helps make traveling more enjoyable. Electronics can be positioned for the passenger to use – giving them a convenient holder for their phone or tablet. Or, set up JourniDock in the back seat for the kids! JourniDock looks great in your vehicle. It’s available in two different colors that blend with any black, grey, or tan interior. Most car organizers are ugly. JourniDock, on the other hand, makes your car or truck look classy. JourniDock is ideal for anyone who spends extensive time in their vehicle. Contractors, salespeople, real estate agents, hospice nurses, and more find JourniDock to be an ideal companion for life on the road. Not only does it help you get organized (and stay organized), but it also enables you to set up a mobile office that increases your productivity. Once you hit the road with JourniDock, you’ll never want to go without it again. Like many products, JourniDock was born of necessity. As a former contractor, I was constantly on the move, meeting with clients, attending meetings and running around town. My truck was a mess, and I built the first JourniDock to help myself get organized. Soon after, people began asking if I could make one for them! It is from those humble beginnings the JourniDock was born.